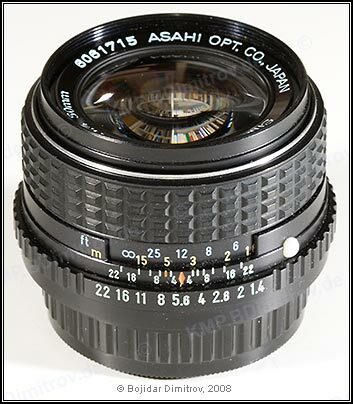 There exists a gold version of this lens (serial number 2413677), but although it looks very professionally done, the gold-plating is probably the work of a Pentax enthusiast. 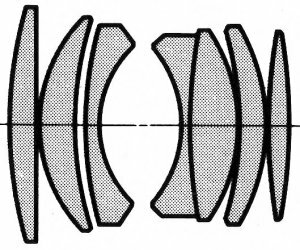 The optical formula of this lens is identical to that of its predecessors “Super-Multi-Coated TAKUMAR 1:1.4/50”, “SMC TAKUMAR 1:1.4/50”, and “SMC PENTAX 1:1.4/50” (K-Series). Only the “smc” coating was developed one step further.